I love prototypes. They are brutal and oblivious to changes they will still undergo. But prototypes are also like teenagers; some are broad shouldered with full beards at age fourteen, others linger in puberty. 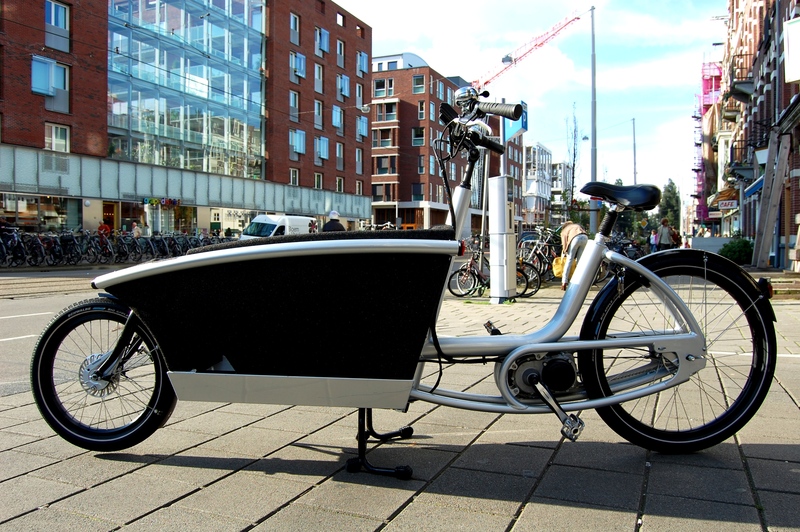 On my business trip to Amsterdam this weekend, I tested the prototype Urban Arrow (www.urbanarrow.com). If the Urban Arrow were a teenager, it would have skipped high school and started off in university. Its serpentine aluminum tubes, the austerity of its frame, and the slumbering power behind its aerodynamics — no reason to doubt why this prototype just won the EuroBike 2010 Award. 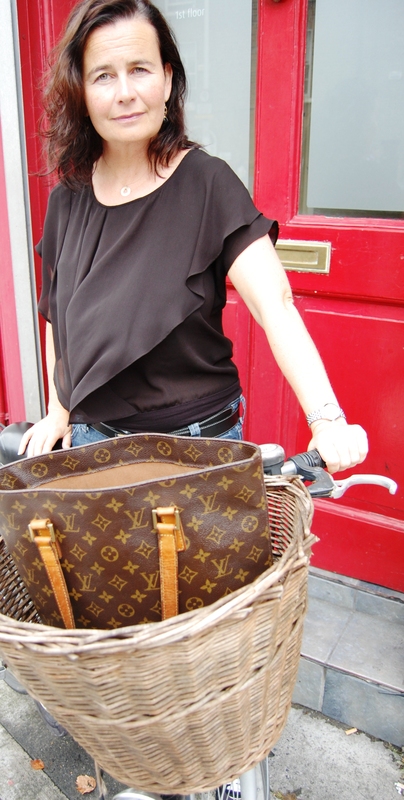 My test ride started at café Zouk – on a busy corner of the Eerste Constantijn Huygensstraat. Zouk’s terrace was filled with a large after work crowd there to enjoy the sun and the first hours of their weekend. 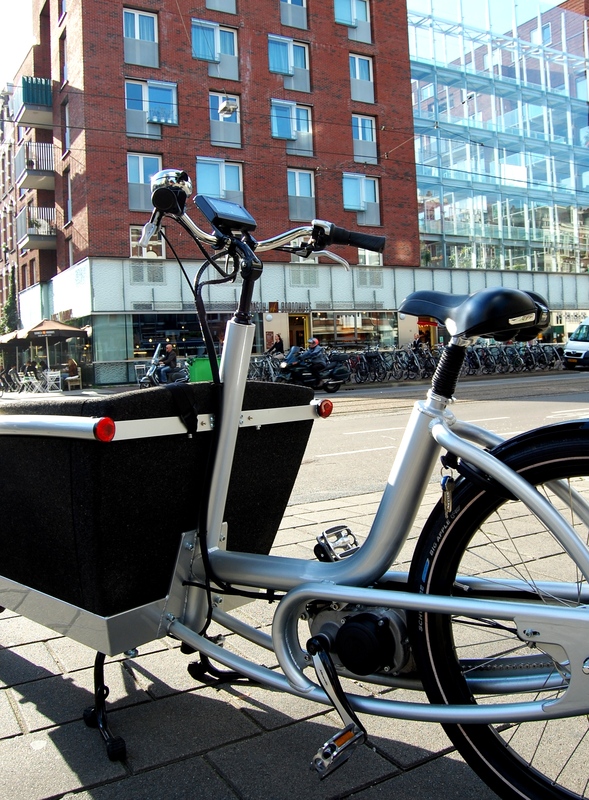 With the street as my stage, the terrace crowd as my audience, I mounted the Urban Arrow and pedaled away westward – intuitively overtaking lazy afternoon traffic, onwards through quieter cycle lanes, until Amsterdam lay behind me. There, with the wind in my face and under the high blue sky, and with legs that still felt strong, I realized: this prototype best not lose it adolescent boldness. 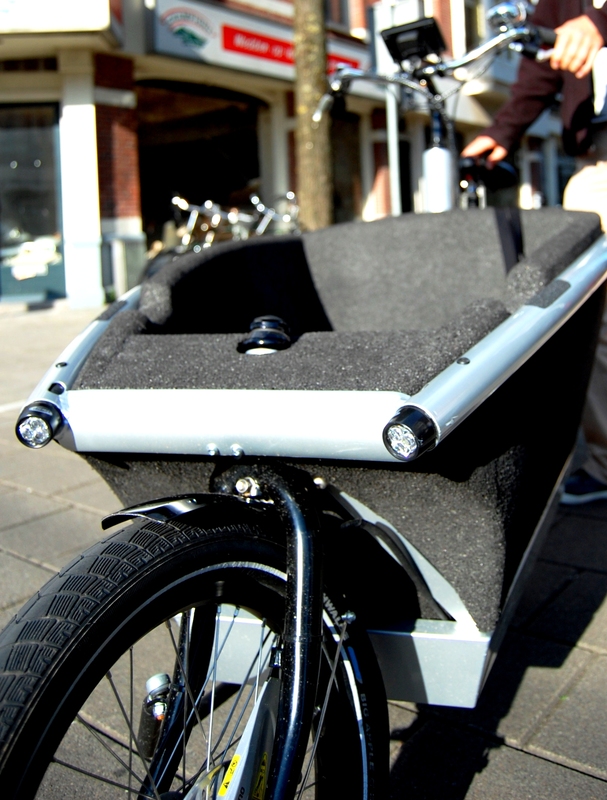 In fact, it might be ready to lead it’s life as a first model for Urban Arrow. at the husband and wife’s house. Joanne Byrne, Director of Presence PR, describes her commute as a mini D4/D2 tour. If the wind is with her she can do door to door in 7 minutes. However, this seldom happens as there are distractions along the way. 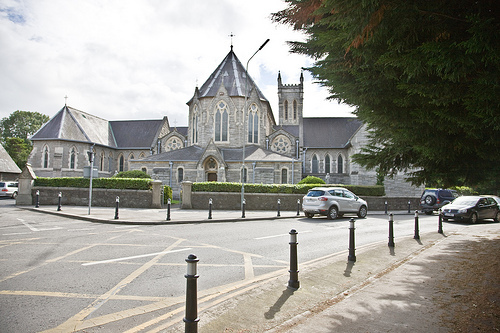 On the way to the office the first traffic hotspot the PR lady comes across is the junction on Anglesea Road, next to Donnybrook Church. Here, she has the right of way, but the yield sign must be written in Swahili as motorists never stop. As she continues on the cycle lane through Donnybrook she prioritises emails and phone calls, oblivious to the bus lines 10, 46A, 46B, and 48 riding past her. Joanne is, however, not oblivious to the Havana shop window, where she slows down to admire the new John Rocha collection. She’s happy to suffer scowls and the odd shout of cyclists behind her, who are eager to press on with their own commute. She is barely back at regular cruising speed, when she stops at Roy Fox’s to buy fresh fruit for the office. The cyclists behind her ride past. Soon, she is back on her bike and it’s straight to the office, this time. 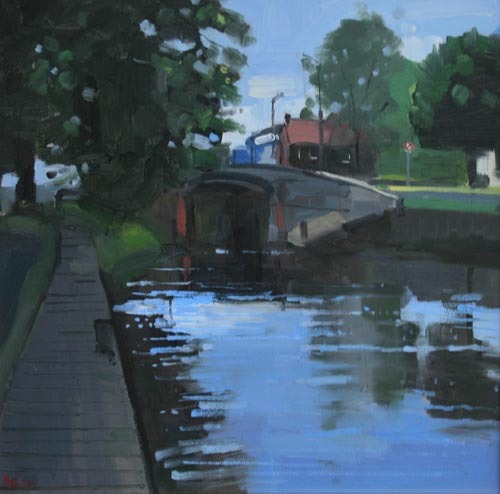 She doesn’t linger on Leeson Street Bridge over the Grand Canal nor does she pause to peer into the tranquil, privately owned Fitzwilliam Square – even though she has a key and would love to start her day with a quiet walk in its gardens. As the day wears on, she runs down the stairs of her first floor office several times, pulls her bike out of the hallway and cycles to a meeting. On her bike, it’s 15 minutes to get anywhere in the city centre. 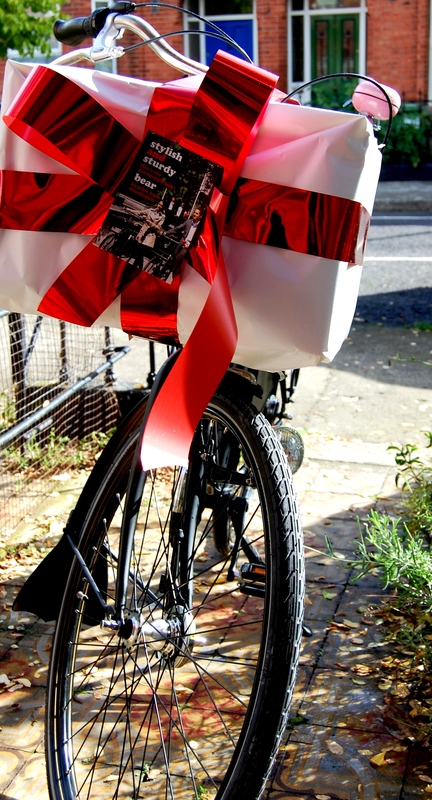 To her clients, Joanne explains the bike saves them travel expenses. To her friends, she confesses the sensation of speed and wind through her hair are the true benefit. When the day’s work is done, Joanne cycles a different route home: Baggot Street, over the bridge, downhill on Pembroke Road, Raglan Road, and Clyde Road. Often the smell of freshly baked bread from Roly’s Bistro is too tempting to resist, before she hits the last homeward stretch ending at the RDS. There, at one of her favourite Dublin spots, Joanne makes her final turn and then she is home. It was our first time at the Electric Picnic. We had heard it would involve music, food, and fun. 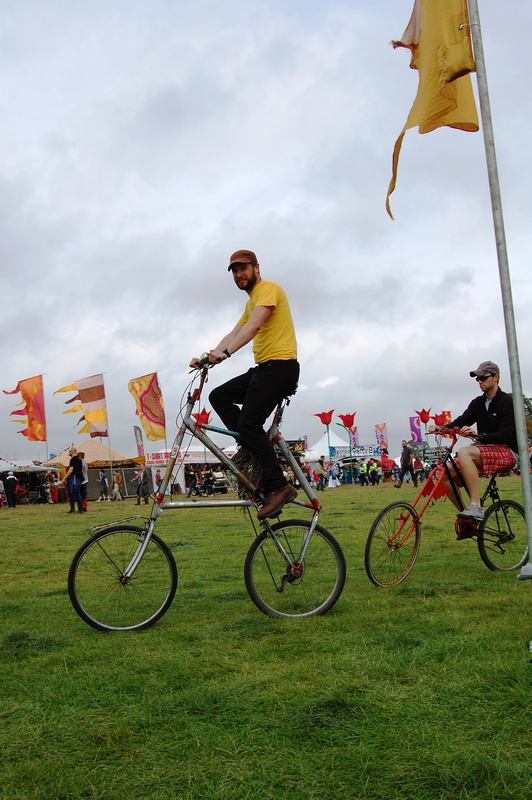 We found it was much more: tea-drinking in tepees, weddings in inflatable churches, and – oh joy – creative cycling. Here’s a description of some of the cycling protagonists. First, there was Barry, a bike wizard from Kerry. Barry is so passionate about bikes, that at a certain point he began building them. Recently, he also taught himself to weld. With those welding skills, his bike building got to the next level, and he built the metallic blue high-seater and pink low rider that were to be seen at the Picnic. Festival goers were especially keen to try out the high-seater. Cycling like that, their head six feet above the crowd, allowed for first class unobstructed views of performing artists. Then there was Roisin from Clare, who works for An Taisce. 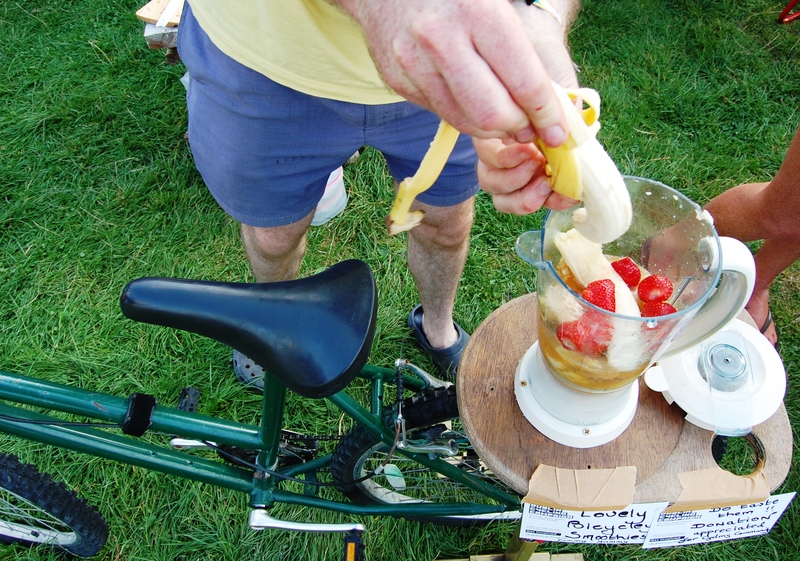 She set up her ‘smooth operator’: a bike pedal powered blender. From her experience with the Green Schools, she knew children love to pedal, especially when they’re rewarded with a sweet smoothie. At the Picnic, she learned that the same applies to adults. In fact; an admonishing Roisin had to tell several grown ups to let the child – pedalling ferociously, sweat on its forehead, eyes intent from effort and from longing for a smoothie – finish its run, and to wait their turn. Finally, there was Nicola. Together with many others, she represented the Dublin Cycling Campaign. The campaigners talked and listened, and lobbied and advocated, and did anything to get more people to cycle. 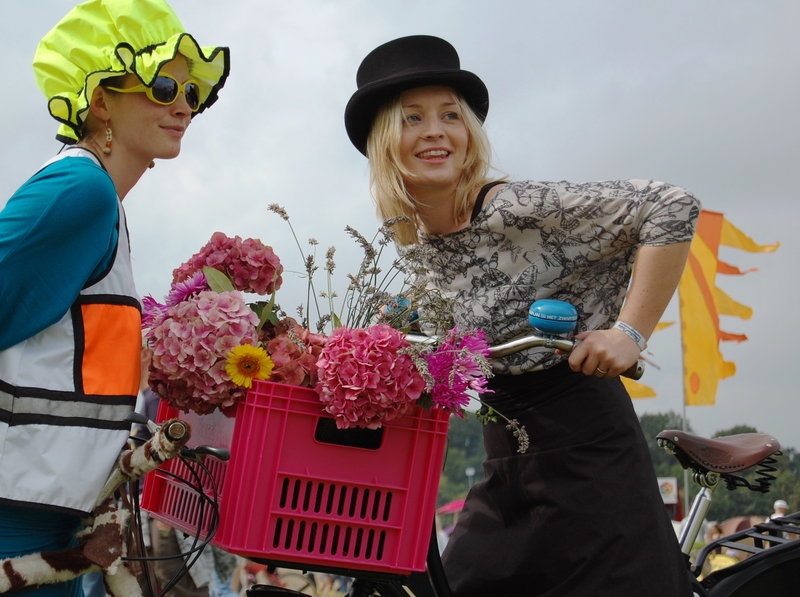 Nicola’s way of telling visitors to cycle, was by showing them what a stylish thing cycling actually is; with a bicycle fashion show. 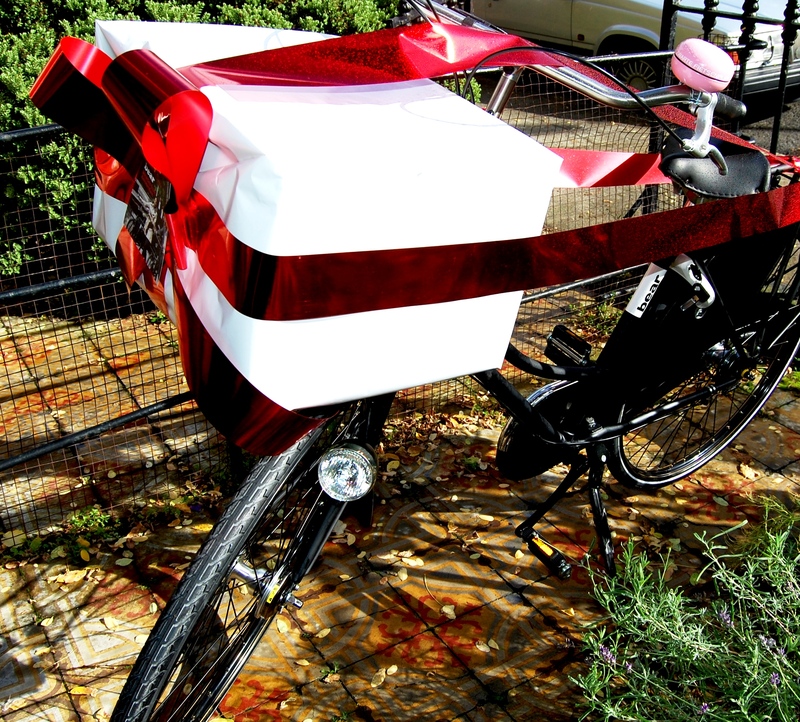 It featured Mondrian style rainwear, sturdy Dutch bikes, and pink flowers. In pink crates. Very colourful.